Skrona in Tarnland is the trans-shipment port for Iskander manufactures, a target for spies, saboteurs, hucksters and businessmen, as well as a threatening genocide. It takes a strong person to rule such a violent city-- and it has one. But Gisel Matah is pregnant with her first child and the mob are all betting on her to lose control. She and Yohan are married and the partners running the Felger-Iskander Partnership, that handles the greater part of the Iskander products and manufactures in the city. They are courted by the wealthy and the ambitious, they are loved by those who look for peace and prosperity, and they are hated by all who look to raise the dogs of war to avenge old wrongs. 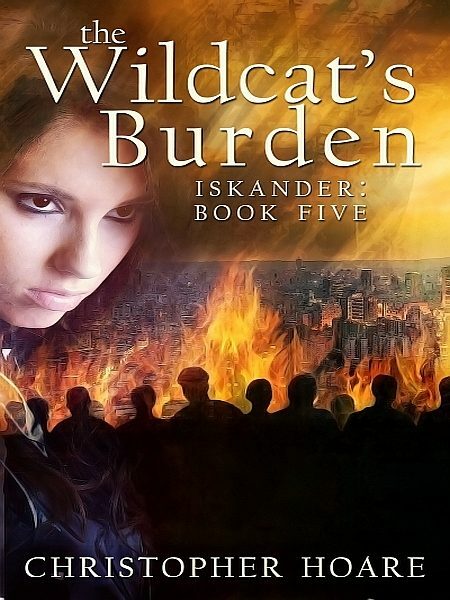 While she is seen to be the same Wildcat who has won battles and ended wars the city may enjoy a lessening of violence, but what happens when she goes into labour? She had better thought of another Wildcat Trick that can work without her supervision.